If you are interested in any colours in particular, please let us know in the Comments section when you complete your order. If you do not specify colours we will send randomly from our current selection. 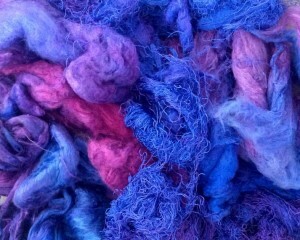 As these are hand-dyed colours are not always repeatable.